Two days later, the cardinal issued a statement in response to other fatal shootings — this time at a high school in South Florida. A shooting rampage Feb. 14 at Marjory Stoneman Douglas High School in Parkland left at least 17 people dead. The shooting suspect was identified as Nikolas Cruz, 19, who had been expelled for disciplinary reasons. He was apprehended about an hour after shots were reported at the school. He urged people to respond to signs someone is troubled and reach out to those who feel alienated; Cruz has been described as a loner whom classmates tried to avoid when he was in school. “Let us make it clear to our elected officials that the weapons and ammunition that facilitate this carnage have no place in our culture,” Cardinal Cupich added. In Chicago, a police department spokesman said Bauer, 53, was shot to death while responding to a call in a downtown area. Police wanted to question a suspect but he took off running when they approached him. Bauer then saw a man matching the description of the suspect he heard on the radio and tried to question him. A struggle ensued and Bauer was shot multiple times, said the spokesman. “Like too many Chicago families, his parents are now left in grief, his wife is left widowed, his daughter left fatherless,” Cardinal Cupich said Feb. 13. 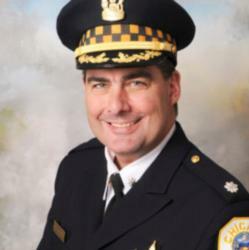 “Please join me in prayer for Commander Bauer, his family and friends, as well as all for those who work to maintain the peace and help the suffering here and around the world.